For enhanced safety, the front and rear seat shoulder belts of the Mercedes CL-Class have pretensioners to tighten the seatbelts and eliminate dangerous slack in the event of a collision. The BMW 6 Series doesn’t offer pretensioners for the rear seat belts. The CL-Class’ front seatbelts will tighten automatically in the event the vehicle detects an impending crash, improving protection against injury significantly. The 6 Series doesn’t offer pre-crash pretensioners. For enhanced safety, the front seat shoulder belts of the Mercedes CL-Class are height-adjustable to accommodate a wide variety of driver and passenger heights. A better fit can prevent injuries and the increased comfort also encourages passengers to buckle up. The BMW 6 Series doesn’t offer height-adjustable seat belts. The CL-Class has standard front and rear seat side-impact airbags and head airbags, which act as a forgiving barrier between the passengers and the door. Combined with high-strength steel door beams this system increases protection from broadside collisions. The 6 Series doesn't offer rear-seat side-impact airbags, only ones for front seat occupants. The CL-Class offers optional PRE-SAFE Brake, which use forward mounted sensors to warn the driver of a possible collision ahead. If the driver doesn’t react and the system determines a collision is imminent, it automatically applies the brakes at full-force in order to reduce the force of the crash or avoid it altogether. The 6 Series doesn't offer collision warning or crash mitigation brakes. The CL-Class’ driver alert monitor detects an inattentive driver then sounds a warning and suggests a break. According to the NHTSA, drivers who fall asleep cause about 100,000 crashes and 1500 deaths a year. The 6 Series doesn’t offer a driver alert monitor. Both the CL-Class and the 6 Series have standard driver and passenger frontal airbags, front side-impact airbags, driver knee airbags, side-impact head airbags, plastic fuel tanks, four-wheel antilock brakes, traction control and electronic stability systems to prevent skidding. J.D. Power and Associates’ 2013 Initial Quality Study of new car owners surveyed provide the statistics that show that Mercedes vehicles are better in initial quality than BMW vehicles. J.D. Power ranks Mercedes 11th in initial quality, above the industry average. With 8 more problems per 100 vehicles, BMW is ranked 18th, below the industry average. J.D. 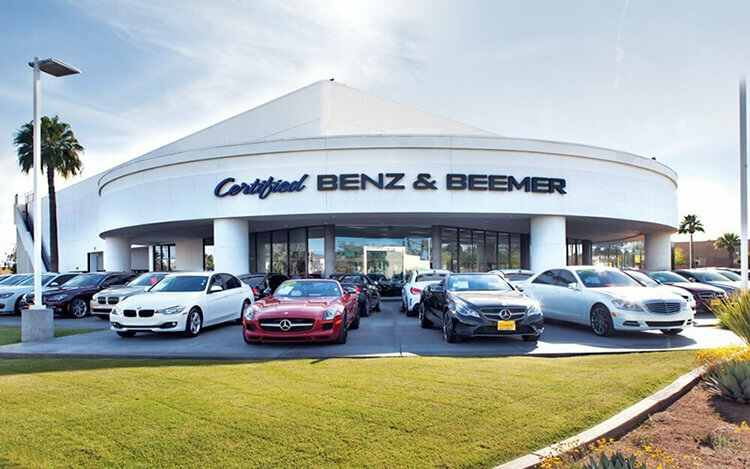 Power and Associates’ 2013 survey of the owners of three-year-old vehicles provides the long-term dependability statistics that show that Mercedes vehicles are more reliable than BMW vehicles. J.D. Power ranks Mercedes fifth in reliability, above the industry average. With 18 more problems per 100 vehicles, BMW is ranked 16th. 640i 3.0 turbo 6 cyl. The CL-Class CL550’s standard fuel tank has 3.4 gallons more fuel capacity than the 6 Series’ standard fuel tank (21.9 vs. 18.5 gallons), for longer range between fill-ups. The CL-Class CL600/63/65’s optional fuel tank has 2.7 gallons more fuel capacity than the M6’s standard fuel tank (23.8 vs. 21.1 gallons). For better traction, the CL-Class has larger standard tires than the 6 Series (255/45R18 vs. 245/45R18). The front and rear suspension of the CL-Class uses air springs for a smoother, controlled ride than the 6 Series, which uses coil springs. Air springs maintain proper ride height and ride more smoothly. The CL-Class has a standard automatic front and rear load leveling suspension to keep ride height level with a heavy load or when towing. The 6 Series doesn’t offer a load leveling suspension. The CL-Class 63/600/65’s drift compensation steering can automatically compensate for road conditions which would cause the vehicle to drift from side to side, helping the driver to keep the vehicle straight more easily. The 6 Series doesn’t offer drift compensation steering. For a smoother ride and more stable handling, the CL-Class’ wheelbase is 3.9 inches longer than on the 6 Series (116.3 inches vs. 112.4 inches). The CL63 goes through Road & Track’s slalom 1.2 MPH faster than the 650i Coupe (68 vs. 66.8 MPH). The design of the Mercedes CL-Class amounts to more than styling. The CL-Class has an aerodynamic coefficient of drag of .27 Cd. That is significantly lower than the 6 Series (.32). A more efficient exterior helps the CL-Class go faster and keeps the interior quieter. It also helps the CL-Class get better fuel mileage. Because it has more passenger and cargo room, the CL-Class is rated a Mid-size car by the EPA, while the 6 Series Coupe is rated a Compact. The CL-Class has 17.2 cubic feet more passenger volume than the 6 Series Coupe (104.2 vs. 87). The CL-Class has .1 inches more front legroom, 2.3 inches more front shoulder room, .7 inches more rear headroom, 1.7 inches more rear legroom and 5.5 inches more rear shoulder room than the 6 Series Coupe. To make loading and unloading groceries and cargo easier, especially for short adults or children, the CL-Class has a standard power rear trunk, which opens and closes automatically by pressing a button. The 6 Series doesn’t offer a power trunk. Heated windshield washer fluid is standard on the CL-Class to defrost the washer nozzles and quickly clear ice and frost from the windshield without scraping. The 6 Series doesn’t offer heated windshield washer fluid. It’s standard heated washer nozzles will defrost the washer fluid but not the windshield. The CL-Class’ standard air conditioned front seats cool the driver and front passenger and help take the sting out of hot leather in Summer. Air conditioned front seats cost extra on the 6 Series. For greater rear passenger comfort, the CL-Class has standard rear a/c vents to keep rear occupants more comfortable. The 6 Series doesn’t offer rear vents.